I was, by most anyone’s standards, a spoiled child. This is no bad reflection on my parents, whom I deeply appreciate. I just don’t think they were prepared for me. My older sister was an easy child compared to me. When I came along, they probably assumed I would follow her lead. I didn’t. I had colic, for starters. To say I was a picky eater is an understatement. I basically ate three things and refused anything else. (Miraculously, I was a very healthy kid, so it must have been all the milk I drank.) I didn’t have any chores or responsibilities at home. I had everything I asked for and more. If I didn’t get my way, I threw a tantrum. I’m told that I behaved well in public, but at home I was unruly and disrespectful. It’s no wonder that my sister wanted to sell me to the gypsies, and it speaks to her tolerance and virtue that she didn’t. Although I raised my children differently, I’m not here to debate parenting practices. I’m here to reflect on some things I learned from my childhood. I learned that, as Art Buchwald said, “the best things in life aren’t things.” As it turns out, money really doesn’t buy happiness, or friendship, or self-respect, or love. I’ve never won the lottery, and I would be delighted if I did, but I already know that more is not always better. The Tao Te Ching teaches, “He who knows enough is enough will always have enough.” I learned that if I can’t be content with what I have, I will not be content with more. Beyond my basic needs, everything else is a bonus. I learned that the world does not bend to my will and that tantrums won’t change that. Serenity comes from accepting the things I cannot change, not from railing against them. I learned that true wealth lies in the connection I have with others. In my self-absorbed youth, I was not always a good friend, a good daughter, a good sibling. I regret some of the choices I made that hurt people who cared about me. I’ve tried to do better. 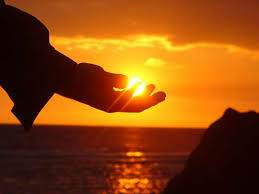 I learned that giving and gratitude are both better than grasping, whether it is grasping things or people or circumstances. I learned that like the ravens my needs will be met. True, putting a roof over my head and food on the table requires some sowing and reaping on my part. But the love that feeds my spirit is freely and abundantly supplied. I learned that like the lilies I am indeed arrayed like royalty. Without any effort on my part, I have been clothed with this precious human life, in a body complete with lungs that breathe, a heart that beats, eyes that see, and arms to hold with. 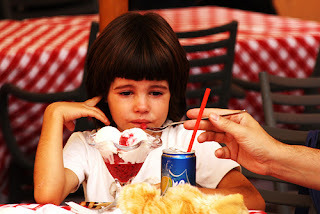 I’m not advocating spoiling as a child rearing philosophy. It was hard on me, and I’m quite sure it was even harder on my family. But those were priceless lessons and I think I’m better for having learned them. 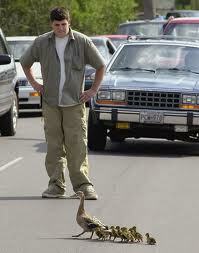 This morning I was on my way to an appointment amidst busy traffic as people hurried to work. All of a sudden cars ahead of me stopped. I saw that a pick up truck driver was trying to back a U-Haul trailer into a narrow driveway. He was not very skilled, and even with a helper standing behind the trailer giving him directions, he still had trouble negotiating the intricate maneuvers of going in reverse with a trailer. He would back up a bit, the trailer would angle too wide, he would pull forward and try again. With each try, he got a few feet further. Meanwhile, the double lane of cars stacked behind me continued to lengthen. There must have been at least forty cars at a standstill. Those of us close enough could see the harried and embarrassed look on the driver’s face as he tried again and again to get that darn trailer to back straight in. We were stopped for several minutes and yet not one driver honked. All around me, I felt the patience and compassion of the other drivers, or at least the amused tolerance. Finally, the driver managed to back in far enough to clear the street. The trailer was still angled awkwardly, but it would have to do. As cars started forward, he waved apologetically. Many of us waved back. Have you witnessed a random act of kindness lately? I read recently about an inner knowing attributed to the bushmen of the Kalahari. They seem to know things beyond their physical senses, like where the game will be found, or when danger is approaching, or when someone is coming. They describe this mysterious knowing as the “tapping of the heart.” They know with an intuitive knowing that comes from a deep place. In Seven Sacred Pauses, Macrina Wiederkehr tells a story about a group of westerners who hired some bushmen to guide them through the desert. 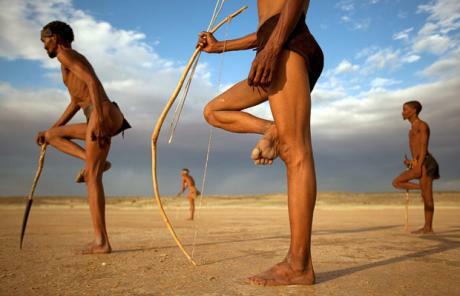 After traveling at a rapid pace, the bushmen sat down and refused to continue until they were ready. They explained that they had to wait for their souls to catch up. I wonder about the pace of my life. Since retirement, and especially since my nest emptied last December, it has certainly slowed down, but my days are still full. Sometimes they feel too full. Gradually, though, there is a settling, a deepening. I spend more time in the morning and evening meditating and praying, and reading wisdom literature. (Right now I’m reading the Bhagavad-gita, and Inner Chapters by Chuang Tzu.) I spend more time in solitude, either at home or at my cabin in the mountains. I spend more time listening. And practicing my word of the year – Wait. Perhaps I’m waiting for my soul to catch up. I’m fortunate to have this time. Not everyone does. When my children were growing up and I was working, I barely had time to pee, much less to pray. Contemplating bushmen heart tapping was not on my schedule. If my heart was tapping, I probably attributed it to stress-induced palpitations. But now the idea draws me in, like a quiet drumbeat in primeval forests, shrouded in the mists of time, lost in the fog of modern life. I hear its echo deep in the inner chambers of my soul. I listen...and wait. Anyway, this was one of the best messages, in a sermon or anywhere else, that I’ve ever heard. And it was meant just...for...me. You see, just before I tuned in, I was driving myself crazy with something that has been eating at me for several days, a recent conversation that I kept poking at like a sore tooth. I kept thinking about one thing in particular that the other person said that had just hit me the wrong way. I couldn’t let it go. I couldn’t let it go even though I am enlightened (cough, cough) enough to know that this was not serving me. I tried to shift my perspective. I read inspirational passages in A Course in Miracles, the Bhagavad-gita, other blogs, the Bible. But the inspiration sparked and then fizzled like a damp match. Oh. Just like that? Yeah, pretty much. Nothing happens to you, Joel assured his audience. It happens for you. “God wasn’t having a bad day when he made you.” As the Bible says, we are fearfully and wonderfully made. So, got laid off? Relationship ended? Betrayed by a friend? Had a bad childhood? Business failed? Someone say something that irritated the heck out of you, like what happened to me? Yes, life can deal us some blows. But, as Joel said, we can be pitiful or powerful. We can choose to be a victim or trust that whatever happened can lead us to our greatest destiny. Still not sure? Watch this video about a man born without arms and legs. If I was still holding on to a smidgen of bitterness about being wronged, this took care of it. 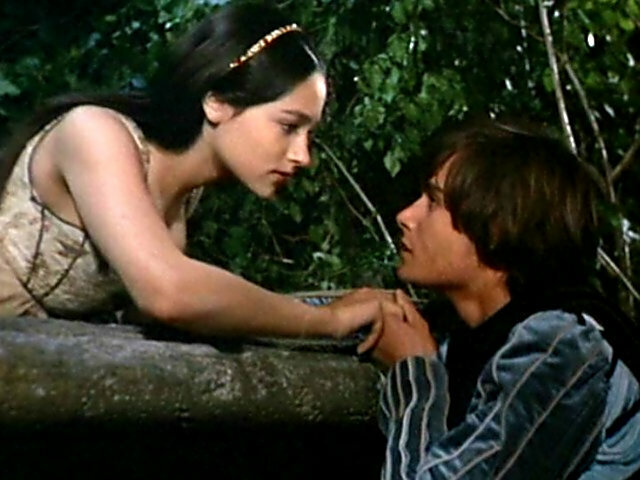 Juliet was just a teenager when she proclaimed her love for Romeo, but she was wise beyond her years. She knew the truth about love. True love expands and increases when it is given away, increasing for the giver as well as the receiver. We sometimes think of love as an exchange. I will love you and you will love me back. A quid pro quo which must be traded in equal quantities or one person is left with less. This kind of love is risky business, with potential for loss and pain. A bad bargain. But love in its purest form is limitless. Like the loaves and fishes that Jesus blessed, love multiplies to feed the spirits of the hungry until all are sated...with more love left over. There is never not enough. What is love’s secret? Please click here to read the rest of this post at The BridgeMaker. When my kids were growing up, they all had chores. Even my sons had chores; autism was no excuse not to share in the responsibility for the family. Besides, as a single mom with five kids, this wasn’t just a matter of character building; it was a matter of necessity. The chores got done, but not always well, and not always with a good attitude. “What’s your job?” she retorted. “My job is to go to work, so that we have money to buy the groceries. Your job is to carry them into the house and put them away.” She snorted her protest but said nothing else as she joined her siblings in the task. A few days ago, this same daughter took time out of her busy work and parenting schedule to come over to my house on her own initiative and help me clean. She knew that my back was bothering me. When I tried to help, she told me to relax; she would do it all. Even so, I did the light cleaning so that we could get it done more quickly. As we worked, we chatted and enjoyed each other’s company. And that, of course, meant more to me than all the clean counters and vacuumed floors. She is indeed a blessing. 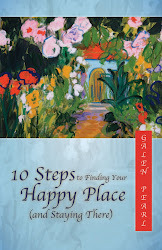 I’ve been reading about the Celtic concept of “thin places,” places where heaven and earth come close together. At first, I thought the concept described an inner place where we feel the presence of the divine. But upon further reading, I now understand that these thin places are physical places, places where we sense the nearness of the other side. 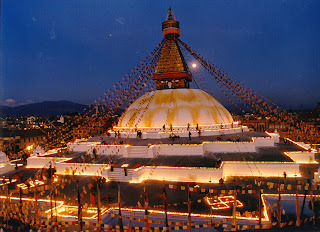 Some are famous, like Boudanath, the Tibetan stupa in Nepal, where I had the good fortune to visit during a new year celebration. Others are hardly noticeable, discovered only when we stumble across them. I think there is a thin place beside the creek at my cabin. When I was looking for a mountain getaway, I had narrowed my focus to two cabins several miles apart. Both were on creeks. One was in move-in condition. It had a spacious loft, and inside bathroom, and a view of snow capped Mt. Hood in the distance. The other one, for roughly the same price, was smaller, run down, dark and musty, nestled deep in the trees with no vista view, and sort of an inside bathroom with an electric toilet which didn’t work very well. I looked at both cabins several times. I took friends to ask their advice. My friends and my rational mind all told me to go for the nicer one with the view. But my heart kept pulling me back to the other one. There was one particular spot by the creek that I kept returning to. There was nothing visually distinctive about it, but somehow it seemed different than anywhere else. When I sat or stood on this spot, I could hear the creek speaking to me. The trees seemed to embrace me, welcoming me into the secrets of the forest. Against all advice, I bought that cabin. I fixed it up, but it will never be as pretty as the other one. Nevertheless, it is comfortable and homey. I love to read by the fire in the big stone fireplace. At night, I crawl into the tiny loft and open the skylight so that I can hear the creek. And yes, I have a real toilet, for which I’m grateful. But my favorite place is that spot by the creek, just a small flat moss covered rock less than two feet square. Sometimes it is simply a nice place to sit with a cup of tea and watch the shadows move or the sun dancing on the rushing water. Sometimes, though, a doorway opens and I am in that liminal space between two worlds. If I can still my inner chatter, the trees share their wisdom with me. Mother ducks show me their ducklings. Salmon swimming upstream pause to greet me. The creek blesses me and guides me, offering me a word or an image in the inner chamber of my soul. I didn’t know the term “thin place” when I bought the cabin all those years ago. But as I learned about this concept, I understood that my little rock is such a place. What about you? Have you ever encountered a thin place? When my son James was growing up, he was in special education because of his autism. Every year there was a meeting to develop his IEP (Individual Education Plan). This document set out his needs and what services would be provided to meet his needs for the following year. The meeting was attended by his teachers, other service providers, a representative from the school district, and me. I generally had a very good working relationship with everyone involved. I made sure I understood the regulations so that I could justify the services I asked for. I had a genuine and deep respect for his teachers and providers. In fact, I’m still friends with several of them. I knew that they were committed to doing their best for all the children they served. I also knew that they did not have adequate funds and resources to do all that was needed. I think grace is like that. I believe that our natural state is one of joy and peace and harmony. We don’t earn it or deserve it any more than James had to earn the services he got. The law provided that he was entitled to them simply by virtue of who he was. Likewise, we are entitled, as A Course in Miracles teaches, to miracles, not because of something that singles any one of us out or makes any of us more special than others, but because we are who we are, children of the universe, fearfully and wonderfully made in the image of God. Each and every one of us, equally. The Dalai Lama speaks of having this precious life. And we do. We are precious and beloved, without exception. Love is our birthright because it is what we are made of. We exist in eternal grace. We can deny it or block it, but we can’t change it. If anyone (including yourself) suggests that we are not worthy of this blessing, we can respond with calm assurance that we claim only what we are all entitled to, nothing less. PS--Several readers have voiced some confusion in the comments about the connection I was making between my son's IEP situation and miracles or grace. I have added some further explanation of the connection I was trying to make in my responses below, especially the one to "Dangerous Linda." Please take a look if you are interested. Thank you .